Acrobat Reader is required to view and print the articles files. "Preserving the Past - Spotlight Touches Image Archive, Iron Mountain"
"A Trip To Iron Mountain With Sonic Editions"
"Nel Bunker Della Memoria - I Migliori Scatti Della Nostra Vita"
"Long-Term Preservation of Photographic Originals and Digital Imaging Files in the Corbis/Sygma Collection in France"
"Former Mine Now Guards Treasures"
"Buried treasure: Iron Mountain's secret storage complex"
"La Miniera delle Foto - Nell'archivio visivo dell'umanita"
"Under Iron Mountain - Corbis Stores 'Very Important Photographs' at Zero Degrees Fahrenheit"
"Frozen In Time: The Bettmann Archive"
"High-Security, Sub-Zero Cold Storage For the PERMANENT Preservation of the Corbis-Bettmann Archive Photography Collection"
"Bettmann 100: Celebrating the Legacy of Dr. Otto Bettmann"
"A Visit to the Corbis Picture Mine"
Why has Bill Gates stashed millions of the greatest images of the 20th century under a mountain in Pennsylvania? "Point. Shoot. Kiss It Good-Bye." Your hard drive is overflowing with gazillions of digital pics. DSC00234.jpg might as well be labeled DON'T_KNOW_DON'T_CARE.jpg. The quest to build the photo archive of the future. 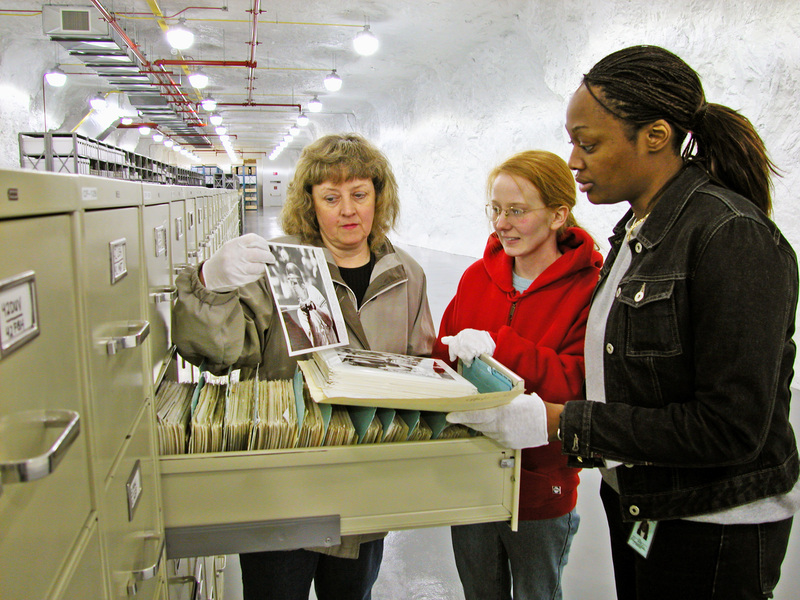 "World's photo album goes underground"
"Cool Storage - Preserving Art in Underground Vault"
"A Century's Photo History Destined for Life in a Mine"
"Moving From Scruffy Quarters to a Limestone Labyrinth"
"Mining the hills for storage"